« Raise your hand if you love hot fudge. A new way to enjoy grapefruit. 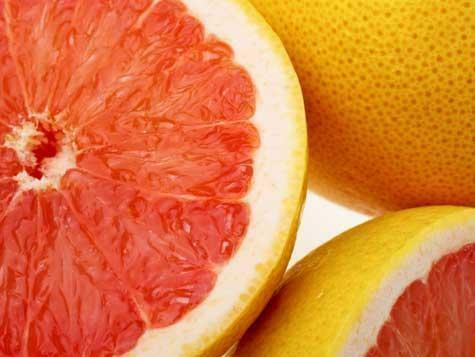 Right now, our stores are abounding with fresh pink grapefruit. If you’re looking for a unique way to enjoy this sweet & zingy fruit, we’ve found it. 1) Preheat your oven’s broiler. 2) Cut the grapefruits in half and use a small serrated knife to cut out the sections in the halves. Spoon the sections and juice into a bowl, then scrape out all of the remaining thick skins and pulp. Spoon the sections from the bowl back into the halves. This is best done one half at a time. 3) Sprinkle sugar and cinnamon over the top of each grapefruit half, adjusting as you see fit. Dot with butter. Place the halves on a cookie sheet. 4) Broil for 3 to 5 minutes, until the butter is melted and sugar is starting to turn brown.